I know that sometimes Whole Foods gets a bad rap in the frugal world. My own father – who actually shops at Whole Foods regularly – jokingly refers to it as “Whole Paycheck”. And yes, a lot of the products sold at Whole Foods are more expensive than the same (or comparable) products available at Target or your local grocery store. But in my experience, you can actually get some amazing bargains at Whole Foods — savings of as much as 70% or more off the shelf price on kosher, organic food. If you want to be able to enjoy shopping at Whole Foods without handing over your whole paycheck, here are my best tips to ensure savings success. 1. Get the case discount. You know I’m a big proponent of stocking up on the products that your family uses when they are at their rock bottom price. Well, Whole Foods makes stockpiling even easier by offering a 10% case discount. In most cases, a case = 12 like items. Buy 12 cans of beans and automatically save 10%. If those beans are on sale, and you use coupons, voila! Your savings are even sweeter. To figure out how many items equals a case, check the price tag hanging on the shelf. Under the UPC code is a string of numbers – then there will be one or two numbers apart for that, ranging from 5- 20. This is the case unit. As I said, most cases are twelve, but this is a good double check. Some stores, like mine, require that all items be the same “flavor”. In other words, if you buy a case of Stonyfield yogurt, all of them have to be vanilla. You can’t mix and match vanilla, plain and chocolate. Other stores are more flexible. Again, this is something that you can clarify with customer service. Finally, when you are checking out, be sure to tell the cashier that you have a case, since he or she will have to manually input that information – the computers (at least in my experience) aren’t coded to recognize it as a case. 2. Use Whole Foods store coupons. Any couponer will tell you that the best way to save is to stack manufacturer coupons with store coupons — and that’s definitely true at Whole Foods. I have even gotten products for FREE using this technique at Whole Foods. The Whole Deal is the primary source for Whole Foods store coupons. It is a bimonthly (meaning every other month) newsletter, which contains recipes, cooking tips and loads of store coupons. You can access The Whole Deal online or pick up a copy at your store. I usually find them in magazine racks between the cashiers and the exit doors. Occasionally, they have them right inside the front doors. The newest issues of The Whole Deal come out on January 1, March 1, May 1, July 1, September 1, and November 1. But, here’s the kicker — the coupons run through the end of the next month. Meaning the coupons in the January 1 issue are good through March 31. But come March 1, you can no longer get the January 1 Whole Deal online nor at the stores. I recommend that you either pick up several copies or save a PDF of the Whole Deal to your desktop, so you can print as many of the coupons as you’ll need. The biweekly Whole Foods sales flyer may also have a few store coupons attached to it – so be sure to check it as well. 3. Sign up to get email updates from your store. If you go online to Whole Foods Market, you can find and select the store nearest you. Then you can sign up to get email updates from your store, which include the biweekly sales flyer and any one-day sale events. I love their one-day sales events — especially in the summer, when you can usually nab amazing organic produce for as low as $.99/lb! Many of the Whole Foods bulk items – such as lentils and dried beans – don’t require a hechsher and are priced very competitively. Often these go on sale, making your savings even greater. If you have proper storage, you can really save a lot by buying bulk in bulk. 5. Bring your own bags. You should do this anyway – whether or not you are shopping at Whole Foods (says the woman who 9 times out of 10 forgets her bags in the car and has to go back for them). But at Whole Foods, it’s especially valuable, since you get $.10 back for every bag. 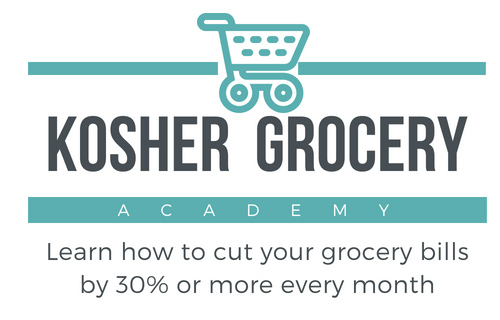 Are you a Whole Foods shopper? What tips do you have to turn a shopping trip into a savings trip? the app woblet has whole foods discounts as well! Wow, I have to go check that out, thanks Rachel – I haven’t heard of that app before! You can stack Whole Foods coupons (at least I know we can here in Memphis) which means you can buy five of one item and have only one coupon and the coupon amount will be taken off all 5 items. Good deal! When you find something on sale and also use case discounts and coupons you can get some great deals sometimes. These are all great ideas I’ve never thought of. Whenever I go to Whole Foods I know I’m just going to bite the bullet and spend a lot. I’m going to write these down! I hope they help – even if it’s a little bit of savings, it’s money you were going to spend – and now don’t have to! My Whole Foods only gives $0.05 back per bag. Oh what a bummer 🙁 I really thought that one was nationwide. Buying in bulk is how we save money along with using coupons. When you buy in bulk it also saves time – something we seem to have less of every day around here.